In wine there is wisdom, in beer there is freedom, in water there is Giardia. Outside of the lab, most of my interests have to do with making things. So when the Craft Center at UCSD offered a beer brewing class I signed up and that propelled me into science. The truth is my initial interest in research was motivated by wanting to learn how to culture beer yeast. I used a six pack of home-brew to bribe my genetics professor for my first research position. 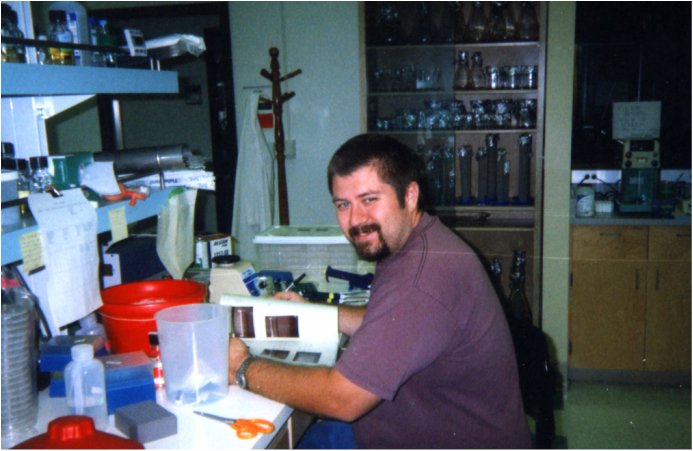 After a summer of molecular biology, I was really having fun working at the bench. So during my senior year I signed up for an integrated BS/MS in Raffi Aroian's lab where I started studying how the actin cytoskeleton sets up polarity in early embryo development, and importantly I was allowed to culture yeast between experiments. Things went well and my adviser urged me to consider graduate school. I ended up at Stanford with Chris Somerville and David Ehrardt where I explored the role of the microtubule cytoskeleton in plants. Moving to the Bay Area also meant I was in wine country so along with some friends and family I started making wine. As I was wrapping up my thesis I met Zac Cande at the Plant and Microbial Cytoskeleton Gordon research conference where he told me about how important Giardia was from both an evolutionary and health perspective. I loved working on model systems (worms and plants), but the opportunity to follow my interests and work on something that had clear relevance to public health made the decision easy, so I moved across the Bay to UC Berkeley and began my study of Giardia. My garage in 2003, three years before graduation. 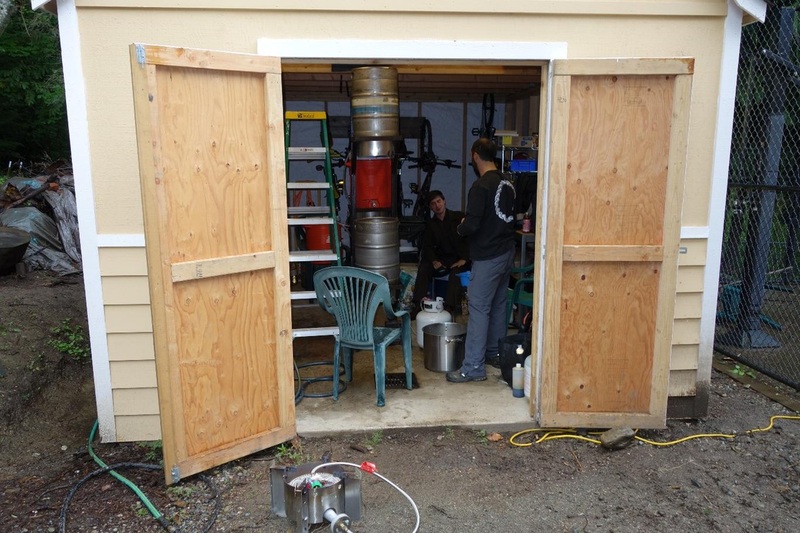 Here I am in 2011 brewing up a batch of beer on my three tier system. I welded this up with the of a friend, note the receiver hitch at the bottom. This is my mobile brewing system! In 2012 I went on the job market and was ecstatic to be offered a position at the University of Washington in Seattle. Not only is it a fantastic research environment, but Yakima Valley has world class grapes. 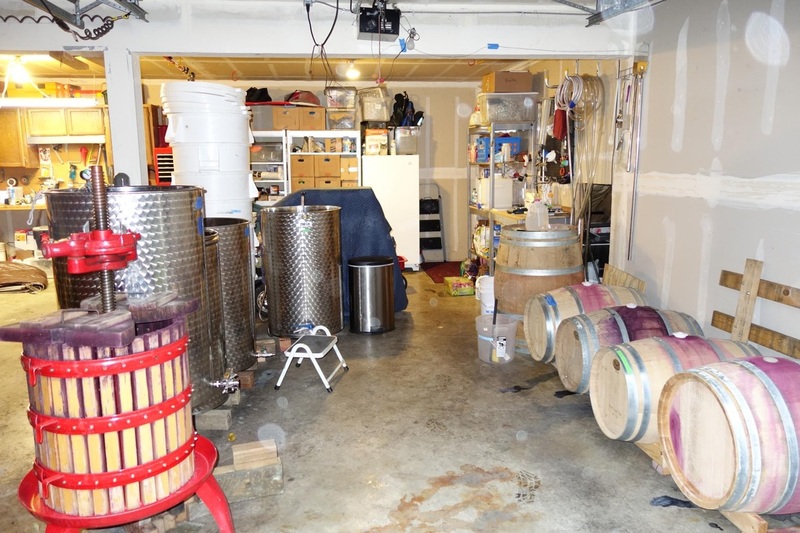 I have been able to start up a new wine co-0p that includes neighbors, colleagues, and even some grad students. My side of the garage 2014. This year we harvested 2,950 lbs of grapes. So my wife could have half the garage, I built a brewery/shed in the back yard. This was the inaugural brew. With a couple of grads from the department, we whipped up 15 gallons of beer for our departmental pig roast.